A pendant light is any light fixture that is mounted to the ceiling and hangs down from the ceiling on a rod or chain or, sometimes, on three chains. It's suspended like the pendant on a necklace, and that's where it gets its name. Because the definition is so broad, there are a lot of different, and different-looking, light fixtures that are called pendant lights. The most basic ones have a single light bulb mounted base up, inside a globe or under an open shade or open reflector. But lanterns, fixtures that take bulbs mounted base down -- such as chandeliers -- and many of the different heads available for track lights are also part of the family. How Do We Use Pendant Lights? A pendant light fixture can be mounted as the central fixture in almost any room. Or one or more can be used to light a corridor or hallway. When a pendant light is used as a porch light, it is providing the general lighting for that porch. One appealing quality of a pendant lights, when they're used for general lighting, is that many of these fixtures are designed to throw at least some of the light up, onto the ceiling. As that light spreads across across the ceiling and is reflected back down, it helps us see more of the room, or hallway, of course. But it also helps us see the room or hallway itself. It shows us the edges and corners of the space, giving us a better sense of where we are, and of the ways we might best fit into it and move through that space. The primary difference between area lighting and general lighting is that area lighting is only lights up part of a room. It can add to, or provide part of. the general lighting, but it isn't doing the whole job by itself. One example is a light over a table that is off to the side of a room. Another is the "corner lights" that homeowners sometimes installed in some rooms in Victorian times, particularly if those rooms were large, or intended for entertaining, These might be a pair of wall sconces, but they could also be pendant fixtures, mounted, say, three or four feet from each wall. What if you wanted to provide good light over a sofa that set out in a room? A bright light hanging at each end might be nice for reading by, and some less intense lights hanging over the sofa itself might make it feel more comfortable, particularly if it's a long piece. One of the valuable things about a pendant fixture is that it brings the light down from the ceiling and puts it closer to your counter or table or favorite chair, or wherever you're going to need it. As this implies, pendant lights can be very useful for task lighting. We're accustomed to using pendant fixtures over counters and tables. But what if you have limited space on your bedside table, or just prefer to not have a table next to your bed? 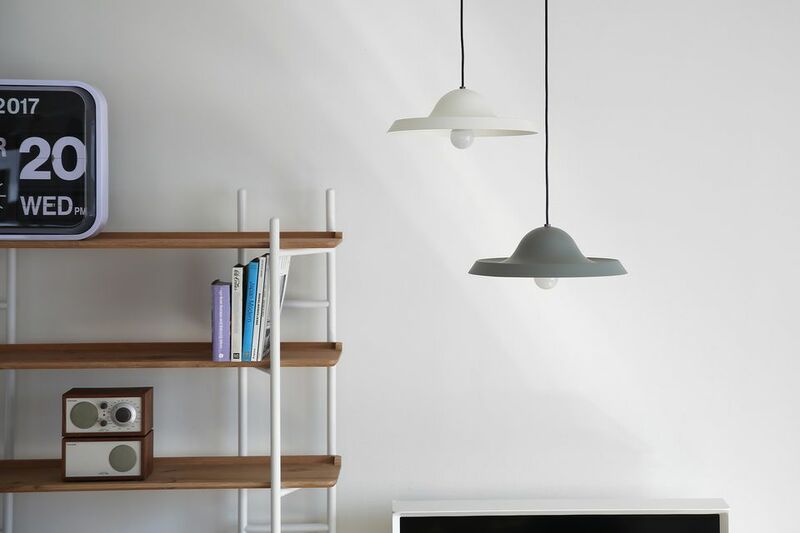 You can still have plenty of light for reading, or any other task, by installing a pendant light. In your kitchen, if you have an island or a peninsula base with no overhead cabinets as part of your counter space, one or more pendant lights can provide as much light as you need without interfering with your work area. At the same time, these lights can add to the general lighting in the room. But they're also used for general lighting, usually in the center of the room. Or it can just bring the light down to a more effective height for the room -- especially if you have a high ceiling. What Are Different Types of Fluorescent Light Bulbs?